Kara is the Director for Campaign Management for Comcast Spotlight with a focus on digital advertising. Kara joined Spotlight in New England in 2009 where she was responsible for managing the Account Management team. Kara moved to the Central Division in the summer of 2015, working on new projects, products and programs. In her current role with Campaign Management, Kara’s attention is on Digital advertising execution and stewardship, working with Campaign Management across the enterprise as we focus on digital roles and process. Kara currently leads a team supporting our national digital sales managers as well as our enterprise interactive leaders. 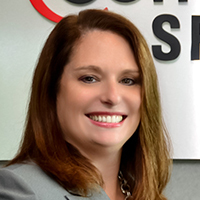 A graduate of Southern Connecticut State University, Kara is an industry veteran with over 20 years of experience, working with both MSO’s and network groups. Kara has been an active member of WICT for many years. She has served on the board in the past and she is currently the Co-Director for the WICT New England Mentor program. Kara completed the WICT Rising leaders program in 2013 and she graduated from the 2016 Women In Leadership program for Comcast Spotlight. Kara currently lives in Manchester, Connecticut with her husband and her dogs, Penny and Prince.